Cisco is one of the pioneers in “working from anywhere.” Since the company sells Cisco Virtual Office and other telework products, it has a vested interest in walking the talk. 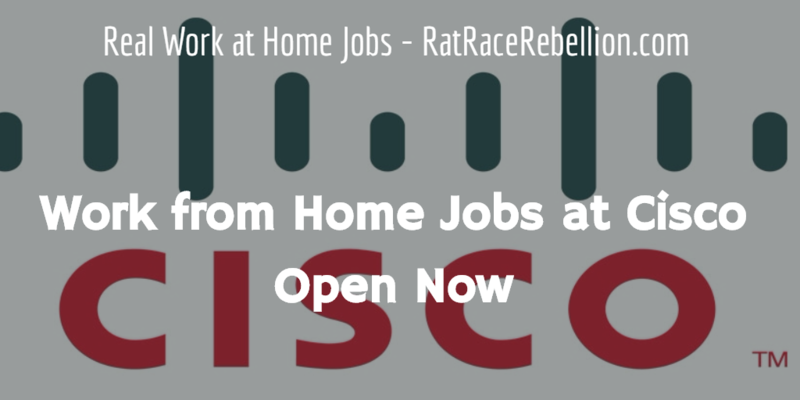 Cisco’s “work from anywhere” and other flexible jobs currently include Administrative Assistant, Technical Writer, Business Analyst, Client Services Manager, Customer Support Engineer and hundreds more. To find the jobs, go to Cisco’s Search Jobs page. Scroll down and in the drop-down menu for “Flexible Work Option” select “Yes.” See other fields to tailor your search.